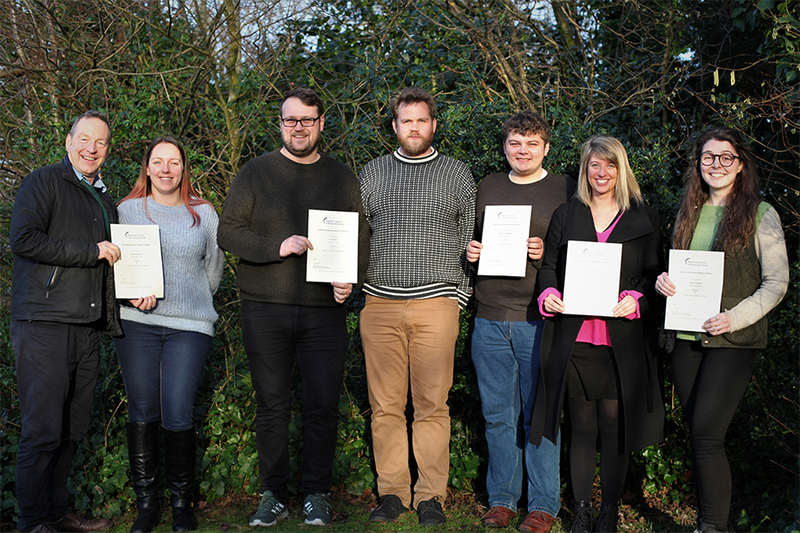 Several TEP ecologists are celebrating their botanical skills as they received their Field Identification Skills Certificates. The FISC process enables ecologists to demonstrate their botanical competence. Candidates spend a day at a testing centre, where they have to identify a number of plants in a laboratory situation, before being taken out to a mystery field survey site where they have about 2 hours to make a full species list. Their species lists are compared against a “Gold Standard” in other words the full species list for the site compiled by a top-class botanist. The certificates are endorsed by the Botanical Society of Britain and Ireland. They demonstrate to local planning authorities that sites have been surveyed thoroughly. For example, phase 1 habitat surveys should generally only be carried out by ecologists who are FISC Level 3 or higher. Liz Seal, TEP’s ecology director says “TEP is very committed to continually raising standards. Botanical skills are some of the hardest to attain and sustain, so the accreditation process is a great chance for ecologists to benchmark their progress. TEP only uses FISC-accredited staff to survey sites where a planning application is to be made. This gives clients and planners the confidence that TEP’s surveys provide reliable evidence about whether there are any rare or uncommon plants and habitats present”.